We don't get over to the Oregon Coast as much as we'd like to because you know, life is busy. 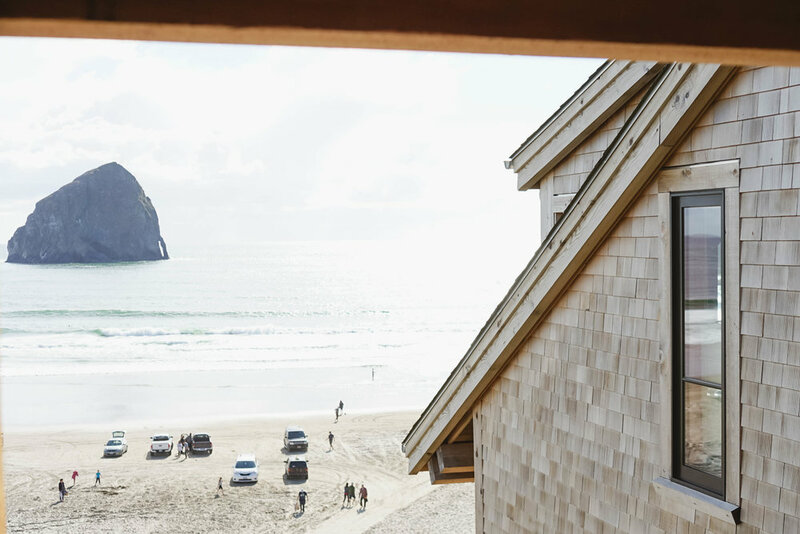 Fortunately for us we were all home this weekend + got the opportunity to head over to Pacific City to check out the absolutely gorgeous Headlands Coastal Lodge & Spa. We arrived at the hotel, checked in + went up to our room to get settled before heading over to Pelican Brewing. The room was a dream. Ariel + I both are pretty obsesed with modern decor and our room was filled with it. Our favorite part of the room was the view - the bathtub was a close second. After a drink at Pelican + dinner at the Meridian - which was so delicious - we headed down to the beach for a bonfire + s'mores. I love a good bon fire + I love it even more when I don't have to set it up. The lodges adventure team came down, set up our fire, got it going + gave us our s'mores kit. This was a dream considering at this point in the night Carter just wanted to be snuggled + I wanted to take photos of everything so we had no free hands to set up a fire. Unfortunately, right as we got comfortable in front of the fire, it started pouring down rain. Like the kind of rain you see in movies. I grabbed Carter + ran up to our room while poor Ariel grabbed all of our stuff and came up shortly after us. We ended the night with a bath + after Carter went down, Ariel + I sat in bed, drank red wine + ate Tillamook Ice Cream from the pantry. 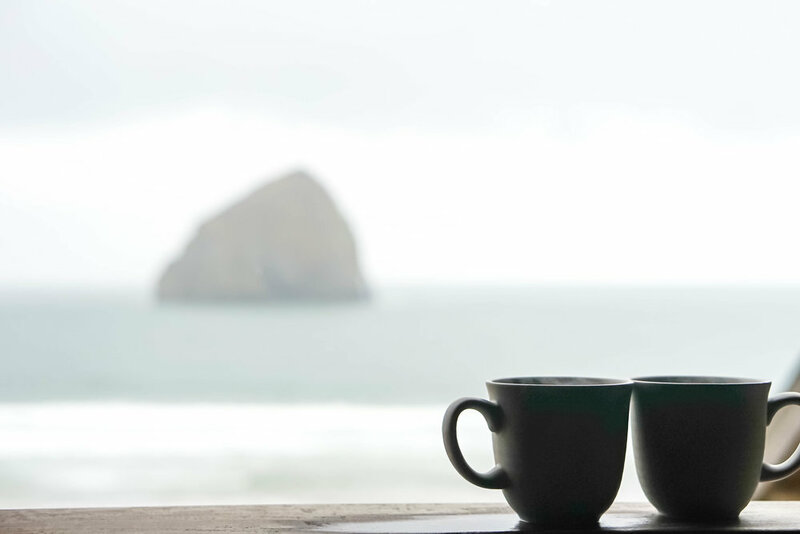 The next morning we spent some time drinking coffee in our pajamas on the balcony + really just soaked up the views. Before heading back home we grabbed a bite to eat at the Meridian again - too good to only eat at once - and let Carter crawl around the hallways to burn some energy. We had the best time on our little stay cation. The lodge is absolutely incredible + is so relaxing. The staff is hands down some of the best hotel staff that I've ever had. They were so accommodating + they all loved Carter. We didn't get a chance to go to the Spa this time but I know we'll be back soon to check it out.